Systematically develops a new concept of intelligence as a cognitive activity that needs to be understood holistically What is intelligence--why is it so hard to define, and why is there no systematic theory of intelligence? 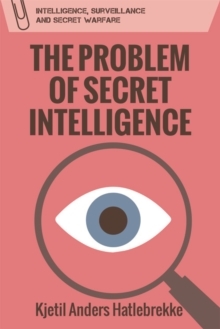 Classic intelligence analysis is based on an inference between history and the future--and this has led to a restriction in how we can perceive new threats, and new variations of threats. Now, Kjetil Anders Hatlebrekke rethinks intelligence analysis, arguing that good intelligence is based on understanding the threats that appear beyond our experience, and are therefore the most dangerous to society.